Environmentally sustainable restaurants are becoming increasingly more successful in comparison to competitors who don’t put in that extra effort by also going green. Customers will more often gladly patronise environmentally friendly businesses, so they readily choose restaurants that advertise their green practices. Another reason why people choose one restaurant over the other is the general level of hygiene in the establishment. While it may seem that being spotlessly clean using eco-friendly options is hard, it really is not. Alsco has the answers to many of the issues that can come up in the effort to have an environmentally friendly and flawlessly clean restaurant and kitchen. Singapore has high Food Hygiene Standards for all the premises of the food industry. Failing to comply with these standards can result in fines, as well as suspension or closing down of the restaurant. One of the important factors is keeping the kitchen sanitary. If the kitchen is not clean, it can result in odours or even vermin infestation – all punishable by law. To clean the kitchen perfectly, you need exceptional cleaning products and excellent wipes. As you may assume, the solutions used to clean commercial restaurant kitchens are not the same as the products you can buy at a local store for domestic purposes. Acid based cleaners are used for floors, ovens and similar paces with stubborn stains. Alkali-based cleaners are used for the nearly impossible-to-remove dirt. Chlorine bleach and iodine usually disinfect the surfaces and cooking utensils. Regular detergents are used for everyday, general cleaning purposes. First of all, there is nothing eco-friendly about wiping surfaces with paper and throwing it away after only one use. Also, paper is not durable, which means that even water can dissolve it and some of it may be left on the working surfaces in your kitchen. Those residues create an excellent breeding ground for bacteria and mould. There are more durable paper wipe options, made of sturdier paper which can be used several times. Still, they cannot be recycled and more than often, people use them longer than they should, which is highly unsanitary. Since paper is out of the question, you need to find a way to use reusable wipes. The best options for this are polyester and cotton wipes. Since different wipes are used for different things around the kitchen, a colour code has been developed. It’s always good to have a system so that things do not get confused and to avoid misunderstandings. In a restaurant kitchen, those kinds of mistakes can cause a lot of problems. Therefore, there is a code for wipes that Alsco uses. The Alsco colour coded wipes comply with HACCP Singapore and are very efficient. The most commonly used wipes and cloths are the cotton and the polyester cloths. They both have their advantages and disadvantages. It all comes down to the differences in the structure of their threads. While cotton is made out of the natural fibre, cellulose, the polyester is made out of the microfibre that involves fine polyester and polyamide threads. The edges of such fibres tend to attract dirt and absorb it while cleaning. 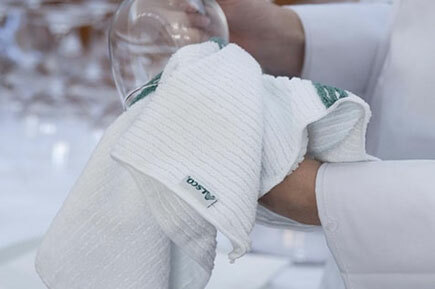 Knowing your way around the kitchen wipes is essential for restaurant owners. Improper use can have catastrophic consequences for your customers. Unsanitary or improperly used wipes can cause poisoning and diseases. This will hurt your clients, your reputation, and your business. Moreover, it means you will have to pay hefty fines. There is a lot of washing and maintenance involved when it comes to HACCP wipes. Luckily for you, that is no longer your concern. Alsco rents the table linen which includes eco-friendly, reusable, HACCP wipes, as well. You just need to use them and toss them into the assigned bins. We will come, pick them up, wash them, fold them, and bring them back in time. 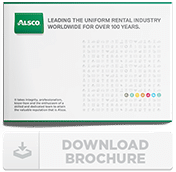 Call Alsco representatives and get the best quote for this remarkable service. For a reasonable monthly fee, so you don’t have to worry about the cleanliness of your wipes ever again.